preservation of the music of African American composers and traditions. RCISAM is a 501 (C)(3) organization. Thank you for attending the 50th Anniversary Celebration of Duke Ellington's Sacred Concert. Please provide your name and email address so that The Roland Carter Institute for Studies in American Music (RCISAM) can provide you with information about future events. 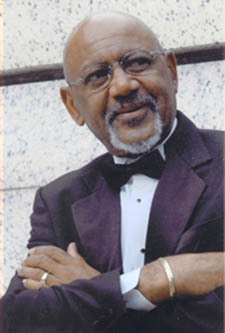 A HD video of Roland Carter conducting "Lift Every Voice and Sing" at the concert is available for a limited time as a downloadable file on RolandCarter.com or click here for the link. Last updated: 01/29/16  - ©Copyright 2016 - Roland Carter, All Rights Reserved.